Throughout its 75-year history, the Department of Sociology has been known for the cutting-edge research of its faculty and for its exceptionally strong graduate and undergraduate training programs. 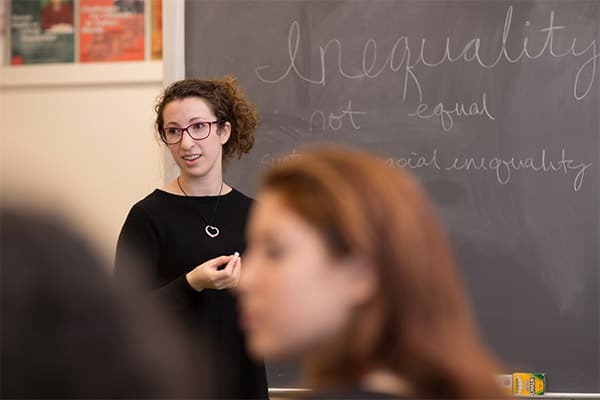 During her time at Cornell, a course with professor Kim Weeden on social inequalities changed everything for Cohen, inspiring her to add a minor in inequality studies. Unrestricted gifts, no matter what the amount, help support every facet of the Cornell Sociology Department. Gifts may also be designated to support a specific area of the the department's activities. You can make a gift online at Cornell's Alumni, Parents & Friends page here.